The story of the Estate vineyard began in 1998 when I first discovered this property that would be Big Basin Vineyards. 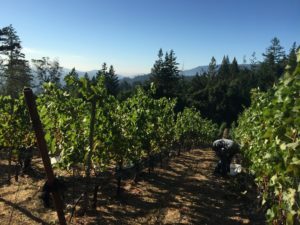 My passion for Syrah and feeling that it would be ideally suited to these steep hillsides of the coastal Santa Cruz Mountains compelled me to make it our starting point. With help from Rhone Ranger John Alban as our viticultural consultant, I began the process of discovery to begin creating the palette of varietals (colors) that would form the basis of our Estate wines. These initial decisions were based on tasting barrel samples of wines that John had made from different blocks in his vineyard which were planted to different field selections of Syrah and the back-hoe test pits we dug and soil samples we had analyzed. John was encouraged by the results and what he saw in the future site with the hillsides, aspects (South and SouthWest aspects are what is found in most of the famous Syrah vineyards of Côte Rôtie) and rocky soils. I appreciated the different wines he had created from the different field selections, but was very much captivated by one in particular, one that John mentioned originated from Côte Rôtie. It produced an elegant, floral and compelling Syrah in John’s vineyard and I hoped it would in ours as well. John also felt that field selections were superior to clonal selections of Syrah. Field selections are where cuttings are taken from a vineyard to create the vines for a new planting. This is the age old way that vines were propagated in the Rhone Valley among other places. A grape vine mutates with age as each year’s growth originates from the previous year’s wood and as such accumulates mutations over time. Thus, field selections have genetic diversity which to the large scale farmer might be a source of inconsistency. However, field selections are the result of winemakers deciding that certain vineyards are producing exceptional wines and for that reason wanting to use that budwood as the basis for a new planting. Clonal selections on the other hand are an attempt to produce consistent vines which all perform the same way. And the reasons for selecting a certain vine to be the basis of a clone typically has more to do with ease of farming and consistent yields than with quality. With the advent of clones, vignerons in the Rhone thought clones were the way to go and many vineyards were planted to them. However, over time, vignerons noticed that they preferred the wines that came from the older field selections. And so more recently, over the past thirty years or so, field selections have come back into vogue. A famous strain of Syrah called Serine that originated in Côte Rôtie is now highly sought after by vignerons and is the basis of many new plantings. Syrah originated in the Rhone Valley over 2000 years ago. And as one might expect, there is significant genetic variation among different field selections and clones that actually look different. While I can’t know for sure, I would have to guess based on descriptions of Serine, with longer, loose clusters, that our Côte Rôtie field selection is in fact Serine. In 2000, we planted the first four acres of the Rattlesnake Rock block. Most of the planting was from John Alban’s Côte Rôtie field selection. He also recommended that I try a few clones, so we also planted Syrah 877 and 174. We used a couple of different rootstocks across these different strains. As fate would have it, all of the 877 on one of the rootstocks succumbed to the mysterious Syrah decline. Thus, I was presented with my first opportunity in 2006 to alter our palette of vines planted. Some vines were replaced with Grenache (also a field selection from John Alban), some were replaced with clone 470, and some with another Alban field selection he called ‘Power Block’. 2006 was also the year we first planted the Old Corral block and we used Alban ‘Power Block’ for that as well. And we planted a small block we call ‘Little Grenache’ to more of the Alban Grenache field selection. It was a good thing we waited for six years before moving forward with additional plantings. We were able to see how various rootstocks performed and could make better decisions for new plantings. In 2007, using this new information, we moved forward planting the last substantial area which is just above the winery and called Homestead Block. Here we planted an acre of Grenache using the Alban field selection, an acre of Roussanne also using a field selection along with two rows of Viognier, and three smaller blocks to more of the Alban ‘Power Block’ selection. Of course, each year we take the best Grenache barrels from each of the three blocks to produce the Grizzly Grenache. And the ‘Power Block’ Syrah from Old Corral block, and the three smaller blocks in Homestead (42 Terraces, Rocky Block and Boulder Block) all went into our Old Corral Syrah. We still had vines that were grafted to a rootstock that for whatever reason was mysteriously declining. In 2008, we replanted another seven rows of Rattlesnake Rock changing it from 174 to another Alban Syrah selection that impressed me when tasted from barrel – ‘Baby Block.’ And then in 2011 we decided that the last two sections planted in Rattlesnake Rock with the declining rootstock would have to go, so sadly we tore out over an acre and a half of mature vines. In 2012, we replanted section next to Rattlesnake Rock with more of the Alban ‘Côte Rôtie’ field selection on a better rootstock. And on the terraces at the end of Rattlesnake Rock block below the house, we planted six rows of Viognier (Alban ‘The Knolls’ selection), and fourteen additional terraces were planted to more of the ‘Baby Block’ Syrah. It was not until 2015 that we had enough crop from these vines that it could go into a wine. The ‘Côte Rôtie’ replants in the main Rattlesnake Rock block (actually right next to the rock) typically go into Rattlesnake Rock Syrah. The ’Baby Block’ Syrah (and some of the Viognier) from the terraces was used to produce our new Sixty-Two Terraces Syrah. This wine also includes all of the ‘Power Block’ planted in the lower 42 Terraces block. It made sense to me as a winemaker to take all of our West-facing terraces and put them into a single wine. 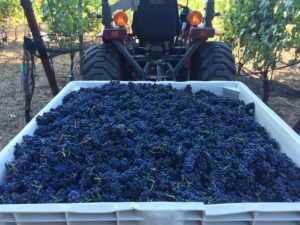 So what happened to the Old Corral Syrah? In the Spring of 2014, I decided to make one of the bigger changes to our Estate plantings. Pinot Noir had finally lured me with her ethereal charms and I was completely smitten. At that time, we were making five different single vineyard Pinot Noirs and these accounted for nearly half our total production. Just over the ridge from us barely five miles away are located three vineyards planted by Rhys which have gained critical acclaim as some of the finest Pinot Noir vineyards in California – Horseshoe, Alpine and Skyline. Given my love for Pinot, it only made sense that we would dedicate some of our acreage to it. The question then became what do we sacrifice with all of the wines having achieved success? After giving it some thought, I decided I needed to look at it differently and think more about which blocks might be best suited to Pinot Noir. Since Pinot typically ripens earlier than Syrah, I thought it made sense to pick blocks that would ripen later. The first candidate that came to mind was the Old Corral block which is the only block on the east side of the ridge. The underlying soil is a rocky shale, and the block slopes steeply both to the south and the east. Of course, this would mean the end of Old Corral Syrah, so it was not without some trepidation that we began cutting off all of the Syrah cordons to prepare the vines for grafting to Pinot the following Spring. The other two small blocks I elected to bud over to Pinot were Boulder Block and Rocky Block. Both were also steep and rocky, and also tended to ripen later. The next big question became what kind of Pinot we would graft onto these vines and I quickly settled on two which I had seen produce some of the most compelling Pinot Noir I had tasted in the Santa Cruz Mountains – the heritage clones of Mt. Eden and Swan. When vines are budded to a new variety, a vintage is lost as the new grafts take some time to get strong enough to support the production of fruit. 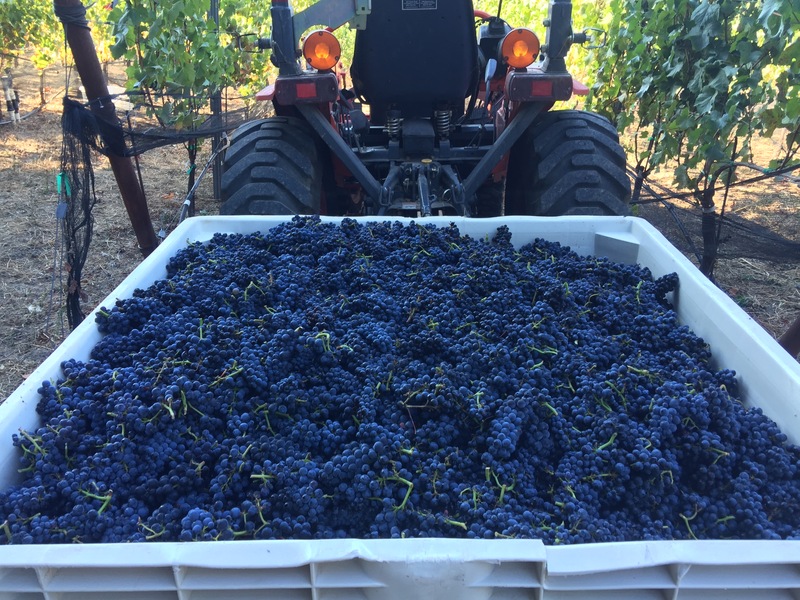 And so, our 2016 Old Corral Pinot Noir is the first vintage where we had a chance to work with this new ‘color’.